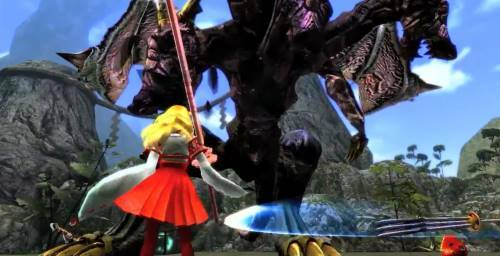 Onigiri Online is a 3D anime inspired MMORPG that is free to play and offers a variety of action based combat. Utilizing a unique partner system that allows you to build relations and strengthen 8 varied AI partners, Onigiri adds a Pokemon-esque element that makes the leveling curve less painful. The partners grow in levels alongside each player’s character. Each partner offers different benefits to improve relations with beyond just combat. In addition players can build their character with a free-form state system that allows you to specialize in a variety of weapons. There is no restriction to one set weapon and can change them at any time. Combat weapon changes is also available for a quick change in fight styles. I was quite surprised on the creation customizations, mainly because I was expecting a set 3-4 options for the character and faces since it’s anime inspired. Most other anime inspired games are very limited on the customizing of the characters. In Onigiri, you have a huge variety of how you can change up the character’s look. You can choose between 6-8 preset options for each of the character body types (3 female options 3 male options for the body). Once you choose the preset body type you can customize everything from the face shape to height to the colors of the hair and clothing. One of the best parts is you get to customize your starter outfit. This even allows you to mix the parts from several outfits. There are 9 starter outfits with 4-5 parts each that can be swapped between any of them creating a unique look for each creative character. The gameplay of Onigiri is very visual and shows all types of shiney skills from fists on fire to fans thrown with bright and deadly actions. There are many moves that require a good amount of skill to complete for full damage. The fighting in Onigiri is a mix similar to Phantasy Star Online and Phantasy Star Universe, as the attacks are aimed at the targets via a crosshair and strike the enemy using the left mouse button. The right mouse button activates 1 of 3 skills tied to the player’s current weapon. Movement is controlled by the WASD keys much like most MMOs. Dodging is done by double tapping a direction, and the setup of skills allows for an endless mix of movements and skills that create the ultimate move set customized for each individual player. Onigiri is full of dungeons and PvP where the players decide the outcome. The enemies in the dungeons have much to be desired but at the same time provide a lot of comic relief from the main storyline. Almost too cartoonish in appearance, the enemies can really throw the player off course by judging them by their fun cuddly appearances. The cutest can also be the deadliest among the mobs within dungeons. PvP isn’t open world, but there are a few arenas set specifically for the test of strength amongst other players. This can be pretty buggy sometimes, but when it’s working great the players are matched with those near the same power so to say. At the least, it’s far from unbalanced and provides a good challenge for anyone. 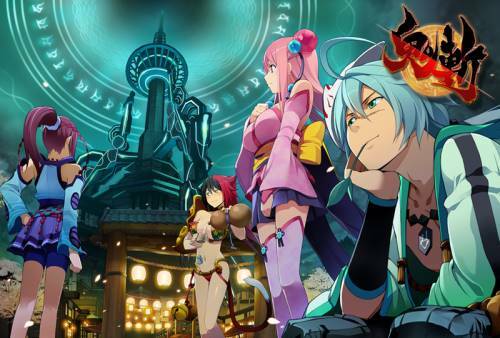 The biggest feature of Onigiri is its partner system and main story. Along your adventures in Onigiri, you’ll meet up with the cast of crazy and silly characters that specialize in many different skills and abilities to aide you along the rest of the journey. Although their names and personalities are downright silly, they can prove to be the best ally in tough situations. Certain ones can help heal wounds, store and identify items, as well as sell you merchandise or buy your collected items. The best part of the partner system is that they tag along with you in combat. Each player can bring their own partner to the battle which doubles the party size making things a bit easier when it would normally be rough and tough. Although the allies can be frustrating when they run into walls or fight invisible enemies making it halt all progress until you re-summon them into the fray, you can always count on them to have your back when it’s needed. Overall, my experience while playing Onigiri was enjoyable. Even though it had sticky controls and dated graphics, I found Onigiri to have a lot that can drag a player into its detailed story and gameplay. With the many partners you can buddy up with, you get a partner for literally everything. There are many dungeons to break from the great storyline and even pvp if you’re into taking out the dated frustration on other players. The possibilities of a personal fight style open up endless combinations providing a truly unique gameplay experience. The game targets one specific type of players and that’s those who really enjoy anime. Others may find it difficult to keep interest in Onigiri, but the anime fans will find exactly what they’re looking for. Overall, it’s a good solid game but it has much room for improvement as well.